Off The Tracks always delivers a splendid festival weekend and 2017 was up there with some of their best. That’s praise indeed as this very special festival consistently provides their passionately loyal and appreciative crowd with one of THE festival weekends of the year. FFA reviewers love it (take a looksee at the FFA Off The Tracks 2016 Review just as a for instance) and this reviewer seriously regards OTT has one of the best atmospheres on the festival circuit. OTT is tiny by comparison to most, but the unique location and wonderful crowd generate such a buzz that it’s a magical place to be. FFA often compares OTT more to a House Party than Festival. The location at Derbyshire’s Donington Park Farm more than helps generate that OTT famous vibe of course; it’s a wonderful place with the festival set amongst converted farm buildings. The farm house is now a hotel with attached large pub, diner, function rooms, and outbuildings. The main stage is in the (covered) courtyard, the farmyard is the hub of the festival and surrounding barns host some of the other stages and bars. Not only that, but the farm has a permanent year round camp site with all mod cons and brick facilities. All in all, with everything under cover, OTT is ideal for a perfect end of festival season bash as damp autumn tunes up. Throughout all the 29 illustrious years of Off The Tracks (yes, that’s right - Twenty Nine) the VIBE is the thing. The location, the organisers, the support staff, the artists, and most importantly, the fabulous crowd, help generate a very very special aura throughout the weekend. Indeed this reviewer rates most Friday nights at OTT amongst his most favourite festival experiences. The air crackles but the vibe is chilled. 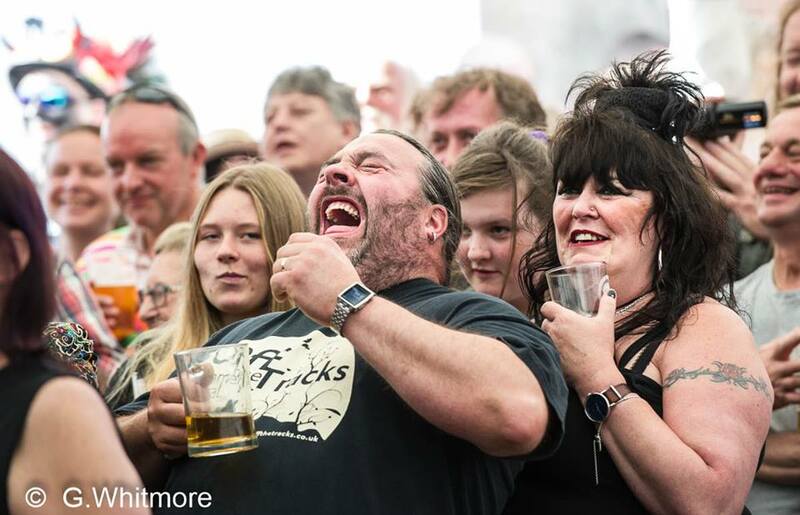 The crowd is a diverse ragbag of all ages and styles, but importantly, all prepared to park their musical preferences and prejudices aside for a weekend and enjoy great sounds and experiences as one big happy collective. When a festival manages, and it’s a rare thing, to capture all that emotion and enthusiasm and channel it to create such a sense of oneness - then the world, for a couple of days at least, becomes a beautiful place to be. I guess that helps define the OTT Vibe. It’s a brilliant atmosphere. The line-up at OTT is as eclectic and diverse as the audience and the quality is always on the button, indeed OTT is one of those weekends where the line-up is just one part of a much bigger whole. Important yes – but the SCENE is the thing. Great bands don’t make a great festival; it’s the whole OTT package coming together that call the faithful back year after year after year. For instance the festival hosts its own beer festival in a barn alongside the large and well stocked pub. With upwards of 70 beers and ciders and some lower strength beer prices starting at a measly £3.20 the ale barn was the place to be. We were. With plenty to keep the kids occupied, estate reared venison and enough veggie options to satisfy most palates in the Diner, plenty of stages, intimate bar sessions, and late night finishes, plus a healing field to calm the soul when in recovery mode, OTT is a very special place to be. 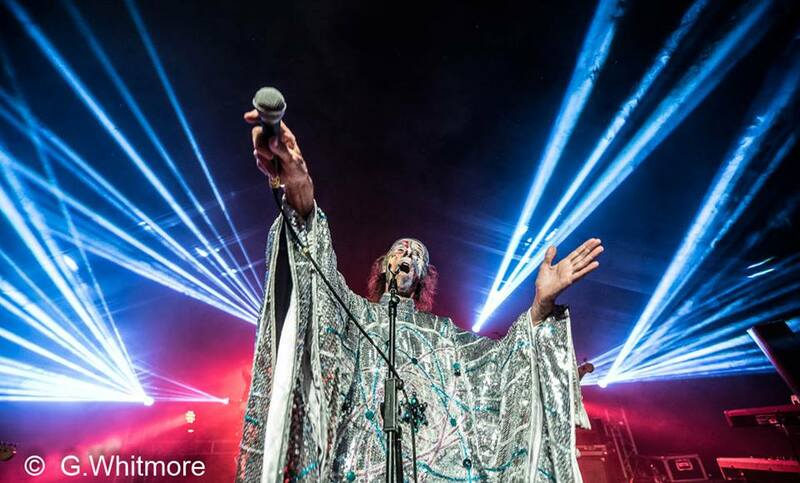 Friday Night Frolics kicked off for FFA with the ageless Arthur Brown; despite being of, well, ‘a certain age’ the man’s stage antics and energy were pretty much boundless. Brown puts on A SHOW; always has, always will. From flamenco dancers to stunning neon lighted coats, the man is 100% showman… But all that is secondary to the voice. It will be the 50th anniversary of the hit ‘Fire’ next year and the guy has not lost any edge and still possesses a mighty vocal range. Alongside a great band, ‘Time Captives’ was perhaps best of the bunch, but, in a rare cover, it was Brown’s mutual appreciation alongside this reviewer of one of the most underrated pop-prog classics of any generation, the wonderful ‘Kites’, that stole the set. A great performance. 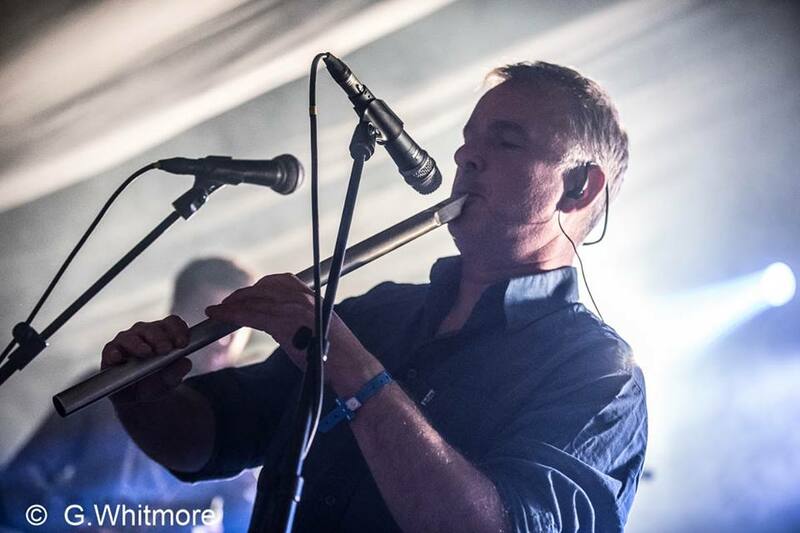 Follow that with the excellent ‘Croft’ Music of Peatbog Faeries and FFA were up and running. Their last festival of the summer and the guys had one hell of a party. (That applied to Peatbogs and FFA by the way). A wonderful ‘Dust’ and an absolutely kicking ‘Folk Police’ had the place bouncing. Perhaps the biggest clash of the weekend was the Peatbogs versus Sendelica and FFA bounded between the two stages. Sadly we had to pass the Real Ale Bar each time! Sendelica were, as always, absolutely top form and produced a fine set. Later, the midnight session of Kev Andrews simply blew us away. Oh the fickleness and unfairness of the Music Industry – how someone of such immense talent is not a household name beggars belief. Virtuoso is an overused term – but the man simply is; at one point playing wonderful slide guitar with a heavy pint glass he’d borrowed from a willing, but subsequently thirsty, audience member! A stunning performance and one of the many finds in the great musical extravaganza that OTT consistently delivers. The bars were buzzing, the vibe as chilled as ever, and FFA had an absolute ball. As I said – OTT provides one of the best Friday nights on the festival circuit in this reviewer’s most ‘umble opinion. Where did Saturday go? Chilling I guess. 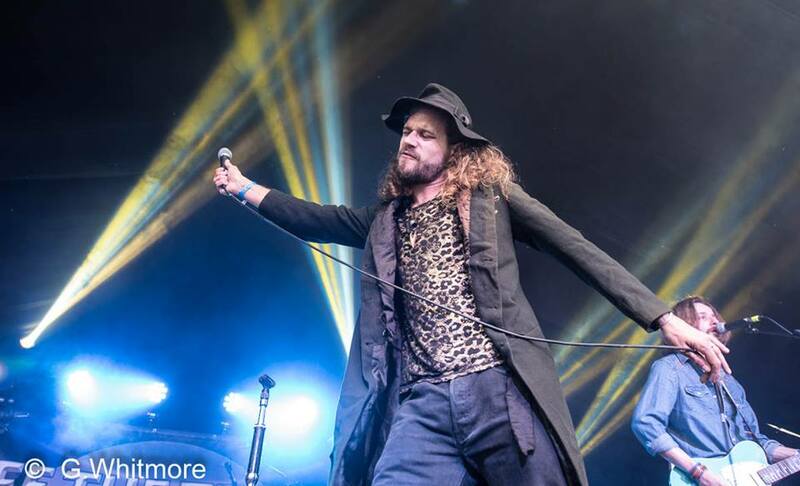 LaVendore Rogue were just fine & dandy, with charismatic front man JoJo Burgess nailing some cracking alt-blues alongside a great band. The New Introducing Stage witnessed some fine young, and unsigned talent, as did the Open Mike stage with Martin Dawson perhaps the best of a great bunch, playing some wonderfully trippy guitar loops as we sat in the sun(ish)shine and enjoyed a £1 tea! The Bar-Steward Sons of Val Doonican made FFA laugh with a genuinely funny and very entertaining routine. 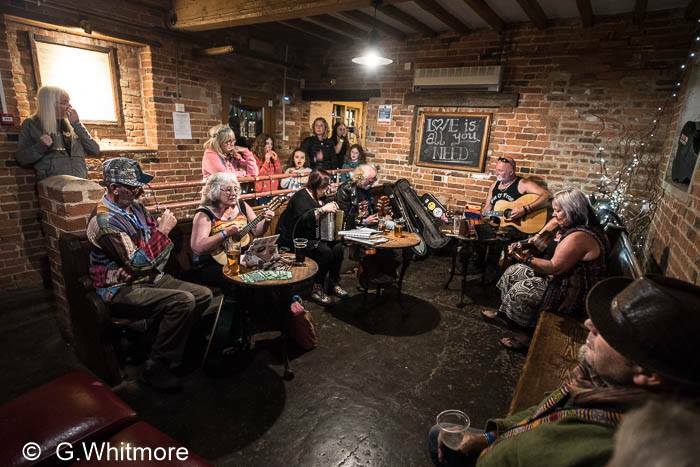 The Jar Family blessed Saturday with two sets; their main stage gig left FFA rather cold, but a different band rocked up for their excellent Threshing Barn set later with some splendid harder edged blues thrown into a great mix. 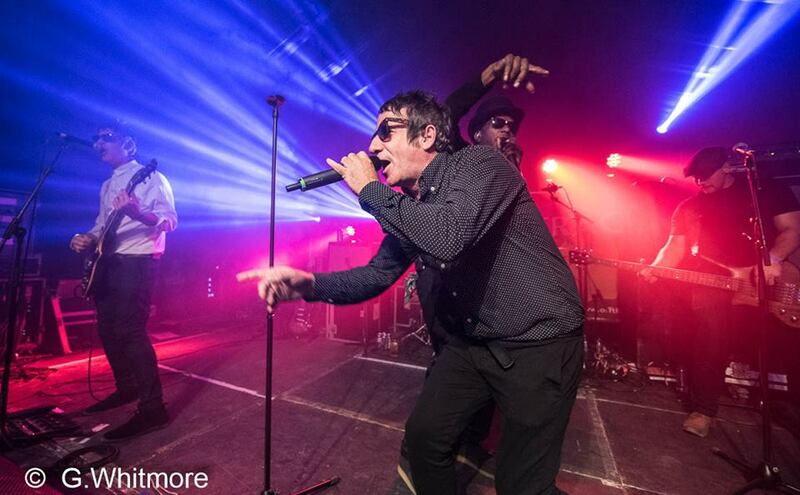 OTT stalwarts Dub Pistols were the days highlight with a typically high-energy bouncing set. Ashworth was in fine form and they absolutely smashed it with a stunning ‘Keep The Fire Burning’, which is, of course, the ethos and spirit of many in the OTT audience. A wonderful set. FFA just lurve the Silent Disco! A great singalong, a lovely diverse crowd and a cracking OTT vibe. Interchange that with classic Floyd emanating from the courtyard, throw in a throbbing bar, and Saturday night was yet another one to remember. Lazy, hazy, but somewhat damp, Sunday is all rather low-key at OTT, but none the worse for it. FFA caught a lovely set from the excellent Low Chimes early doors before Baraka had the crowd grooving to some brilliant West African fused jangly reggae beats. French-Canadian outfit Le Vent Du Nord were wonderful. Quebecois and proud, they regaled the crowd with excellent musicianship and vocals for a storming and well received set. Although performed in French (FFA are Mancs – even English is a problem), language proved no barrier to engulfing the crowd in the love and emotion these guys have for their native culture. A great world music pairing from OTT and a fitting end to festivities. And there you go. Off The Tracks will celebrate THIRTY YEARS in 2018. Those in the know are already counting down the days. OTT is teeny-tiny but still remains one of the brightest jewels in the UK festival crown. Long may it continue. Photos courtesy of Graham Whitmore. Check out more of Graham’s excellent work HERE.